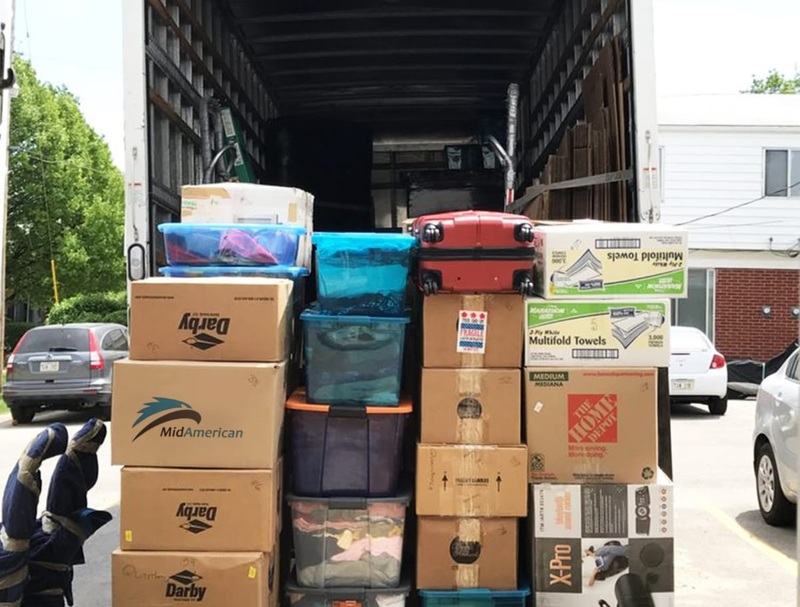 MidAmerican Moving and Storage is the leading moving company for Des Moines, West Des Moines, Ankeny, Johnston, Altoona and the surrounding communities. Fully licensed and insured, we offer efficient moving services for homes and businesses, at competitive prices. We move families and businesses from one neighborhood to another, from one town to another. Whatever size move, we can handle it efficiently and safely. We move people and companies across the state and across the country. 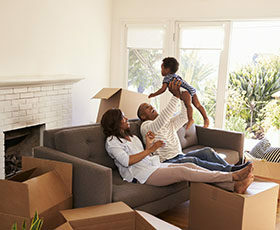 We work closely with you to plan the move, making it hassle-free. Relax while we do the work, getting your goods to your new location, however far away. Need to move from a home to an apartment, condo or retirement facility? Let us help. We can move everything from furniture to pots and pans, safely and quickly. Need some extra space? We’ve got it. Use it for a few days, a few weeks or long-term. 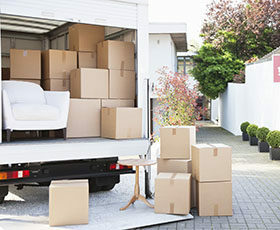 Storage gives you options when you move your home or your business. 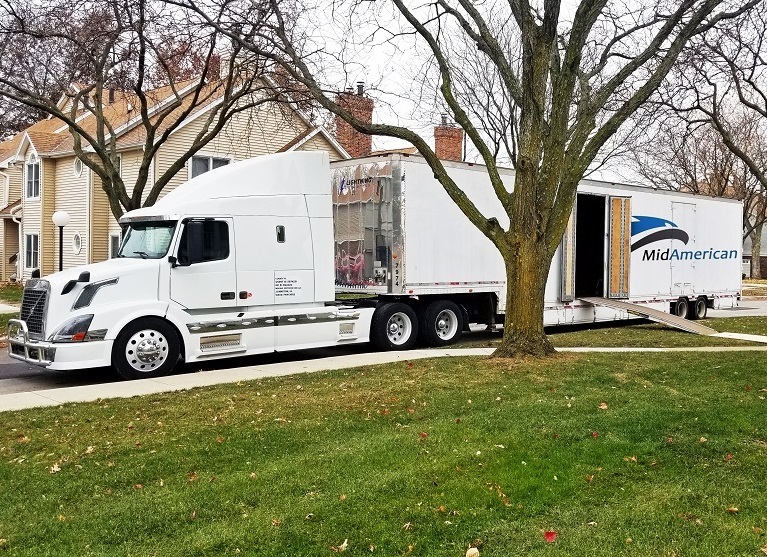 For many years, MidAmerican Moving and Storage has been serving the Des Moines, West Des Moines, Ankeny, Johnston, Altoona and neighboring areas. We are proud of our reputation for affordable, efficient moving services for homes and businesses. Our mission is to make your next move stress-free, safe and quick. We are your local moving professionals, and proud members of the Des Moines community. 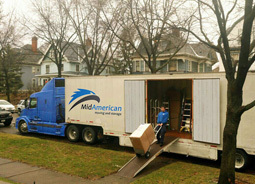 We have years of experience in residential, commercial, local and long-distance moves. Happy Customers. We have successfully moved hundreds of local families and businesses. Full Service. We do local and long distance moves, residential and commercial. Stress-free. Our aim is to make your next move as stress-free as possible. 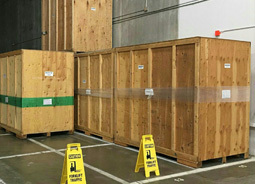 We provide seamless storage solutions as part of our moving services, both short- and long-term.